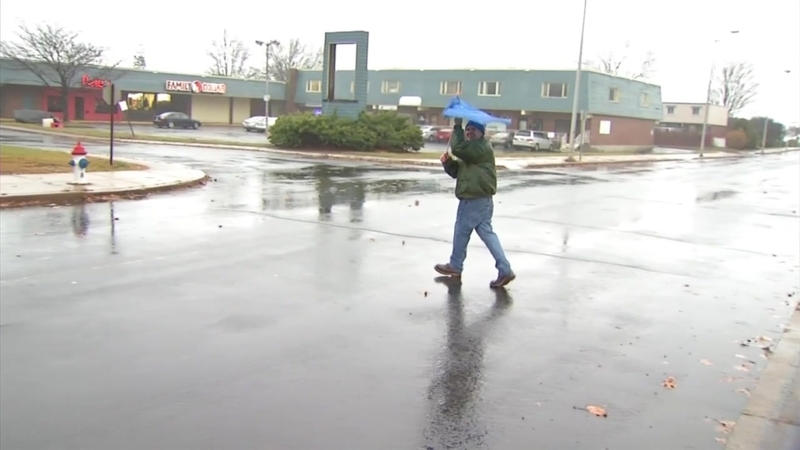 This morning, icy roads caused treacherous driving conditions, then the heavy rains and winds began. Now the worst of the heavy rain is over, but periods of light snow are in the forecast for Wednesday. Water Street in Norwalk was flooded well before high tide and police urged drivers to use an alternate route. Interstate 95 South in Norwalk also flooded near exit 17 and the left lane in closed. In West Haven, residents of Lydia Street were dealing with knee-high water. The sidewalk in front of West Haven resident Shirleen Waller's house wasn't visible on Tuesday and she said every time there's heavy rain she gets put on her own island. "If it continues to rain like this, if I didn't have a pump it would get into my house," she said. Nearly 3 inches of rain have fallen in Fairfield and New Haven and Meriden have almost an inch and a half of rain. Hartford, Groton and Sterling have also received more than an inch of rain. Winds could reach as high as 50 miles pers hour in parts of the state and the National Weather Service has issued coastal flooding warnings for New Haven and Fairfield counties. The overnight Nor'easter, which caused the icy conditions and black ice statewide this morning, led to hundreds of school delays and several crashes.Some exits off Interstate 84 were even closed because they were too icy. 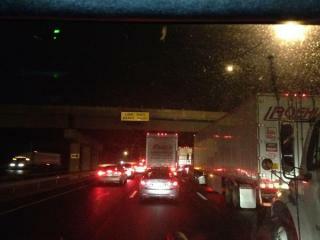 Buses were also getting stuck on I-84 in Hartford. This morning, state police said they received reports of around 120 crashes as of 9 a.m. and AAA's Roadside Crew has responded to almost 430 calls in Greater Hartford and eastern Connecticut since midnight. Many of those calls were in the Connecticut River Valley and along Interstate 84. Emergency crews also responded to a crash in Middlebury after a car went down a ravine in the area of Bunker Hill Road. A multicar crash on the southbound side of the Berlin Turnpike is causing problems in Berlin. In Windsor, a bus crash on Interstate 91 South caused massive delays. When police originally received the call, no injuries were reported, but some of the 24 passengers were transported to the hospital to be treated for minor injuries. In Pomfret, Route 169 was closed at Orchard Hill Road and Route 9 South in Haddam was closed at exit 9, but reopened after sanders responded. 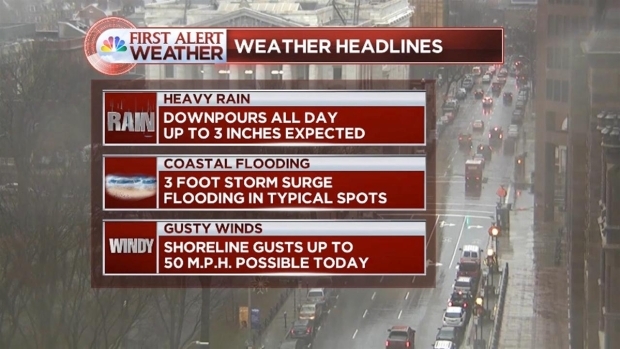 Get the afternoon forecast from NBC Connecticut. Traffic was slow all morning on Interstate 91 North in Central Connecticut and there were three crashes in a row on I-91 in Middletown. A serious crash also closed Interstate 691 in Cheshire early Tuesday and High Street in Farmington was closed between Mountain Road and Route 4 because tree branches were on wires. The the road has since reopened. See the traffic map to see if there are issues along your commute. There were also several crashes on Interstate 95 and Interstate 91 in New Haven. In Glastonbury, 40 cars were stopped on Hebron Avenue at Manchester Road because of icy conditions, but the road has since reopened. Interstate 395 in Thompson was closed overnight, but reopened around 6:30 a.m.
Get more traffic updates from NBC Connecticut traffic reporter Heidi Voight.